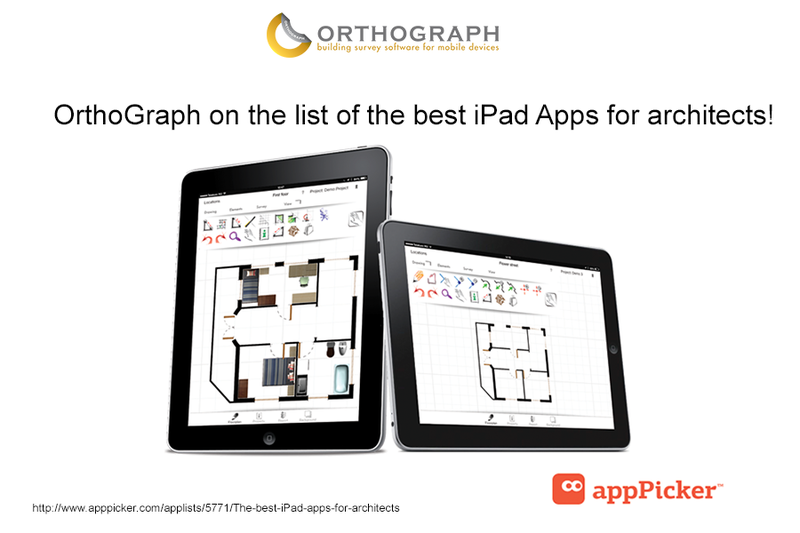 OrthoGraph was included in The best iPad apps for architects. The appPicker website ,that collects and sorts mobile apps, chose our software one of The best iPad apps for architects. OrthoGraph was included in a list that contains 10 mobile applications specially chosen for the needs of people who work as architects or study architecture. We feel proud and rewarded that OrthoGraph is in that list and this result also stimulates us to constantly renew and improve our application. Our mission is always to provide the best AEC CAD app that meets the highest quality standards and makes the building survey an effective, fast process with high accuracy. Are you ready for the newest version of OrthoGraph with stunning new features? We are working hard on the new version, it’s coming soon.